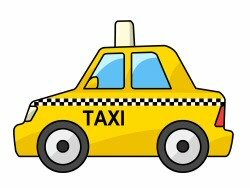 Online booking for Cyprus airport taxis. Book airport transfers from Paphos or Larnaca quickly and easily. One way into Paphos city centre from Paphos airport costs just 30 compared to over 50 charged by many taxis direct from the airport. My online booking service is quick and easy to use and you can specify your exact drop off and pick up point/hotel from Paphos/Larnaca airports or Limassol port. You can also book transfers between hotels. Many holidaymakers make their Paphos airport transfers either by bus with their tour operator or by hire car. But if just want to take a taxi to your hotel or apartment, after a long journey, the last thing you want to do on your holiday is to spend valuable time waiting around for a taxi. While there are usually plenty of taxi drivers waiting outside the airport, especially at peak times, do you know how much you will have to pay and therefore how much local currency you will need? And if you're arriving in the early hours, will there actually be any taxi drivers there at all? Why risk waiting around for a taxi when you arrive at Paphos or Larnaca airport and not be sure how much you will have to pay when you can prebook everything in advance? Forgot to change your currency into Euros? No problem, with my prepaid Cyprus taxis booking system, you don't need any. Just arrive, meet your driver, jump in and relax! Tip: If you want a transfer to or from a hotel, just click on one of the airports and you can enter your hotel accommodation on the next screen. Take the hassle out of airport transfers. Save time and money on your next trip to Cyprus by booking Cyprus taxis online.